This is an overview of the actions that Learning for Sustainability Scotland members are taking forward to support the Sustainable Development Goals (SDGs) in Scotland. You can find out more about at their website. 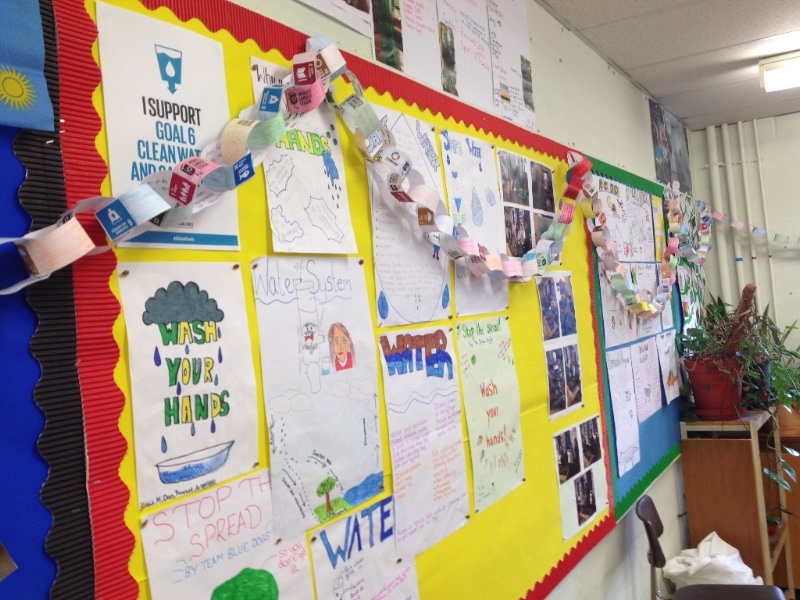 Kate Hansen, biology teacher at Culloden Academy has shared with us, what her S2 science class and S2 wider achievement classes have been doing with regards to the SDG’s, as an approach to get LfS into the classroom. Kate reported that the classes have been engaged and she is now starting to link the SDGs to articles from the UNCRC. Thank you Kate – very inspiring! 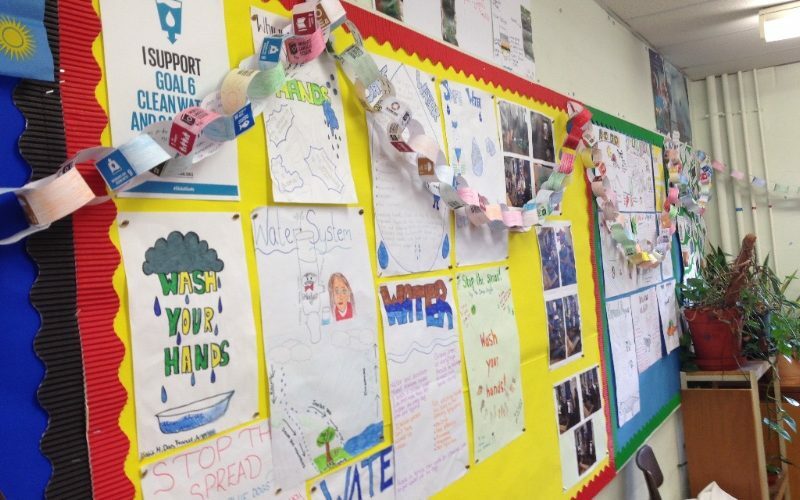 Glaitness Primary School have begun a new group, called Global Goals at Glaitness, to make sure that current eco projects can continue to develop at the school and link them directly with the SDG’s. The school uses a regular blog to share their work, like this one here on a Fair-trade project. Alongside their well established year round initiative for removing marine litter from their local area and coastline (Pick Up Three Pieces) and their annual whole school participation in the County wide ‘Bag the Bruck’ event, they have developed a new campaign to try to get schools and other council run premises in Orkney to stop using single-use plastics, and to get businesses to stop using plastic straws. See Spotlight section below for more info. Young people in Scottish secondary schools are being encouraged to focus on global issues during the Year of Young People in 2018, through IDEAS’ Young Citizen Advocates series of events. Three Young Citizen Advocates events have now taken place, with a residential event planned for May 2018. They have engaged some 300 secondary school pupils from at least eight different local authorities. Each event has finished with every school signing a pledge to take action on one or more of the Global Goals, and these pledges will be followed up in due course. They cover a range of themes, with one school in particular developing strong plans for the development of pupil peer support groups, and others looking at themes from gender equality to access to feminine health products. Subject specific events have focused on STEM and Modern Studies themes linking areas of the curriculum directly to the Global Goals. 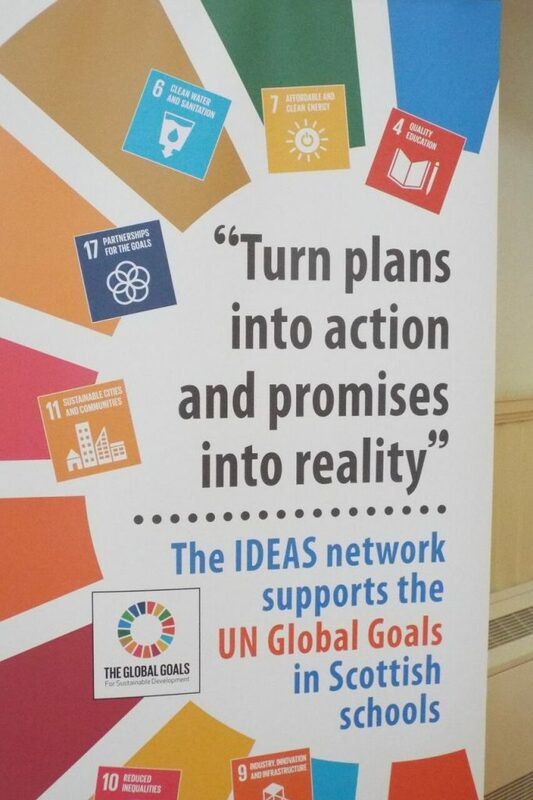 LfS Scotland is a member of the UK Stakeholders for Sustainable Development (UKSSD) network, helping to develop a plan to drive action on the Sustainable Development Goals in the UK. It outlines the opportunity the Goals offer and the type of actions needed if we’re to achieve them by 2030. The initial review of research has opened for contributions and ends on the 16 March. If you’d like to take part please register here.